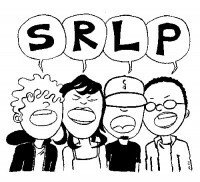 You are here: Home › News › News › SRLP News › SRLP Annouces Our Legal Clinic In The Bronx! In a collaborative effort with the Bronx Community Pride Center, SRLP will hold legal clinics in the Bronx every third Monday of each month. The clinics will be held between 6pm-8pm at the Bronx Community Pride Center, which is located at 448 east 149th street. Take the 2 or 5 train to the 149th street/3rd avenue stop. Clients will be seen on a first come, first serve basis. The legal clinics will focus on helping those in need of name changes, gender changes on identity documents, obtaining shelter services and/or benefits such as HASA, Medicaid, Public Assistance, and Welfare. We will also help with adjusting immigration statuses, clients who have landlord/tenant disputes, and clients who have experienced discrimination because of gender identity or perceived gender identity.The next dates when the clinic will be held are April 20th, May 18th, June 15th, and July 20th. If you have any questions or if you cannot make any of these dates, please call us at (212) 337-8550 to learn about our office drop in hours or to set up an appointment with a lawyer.